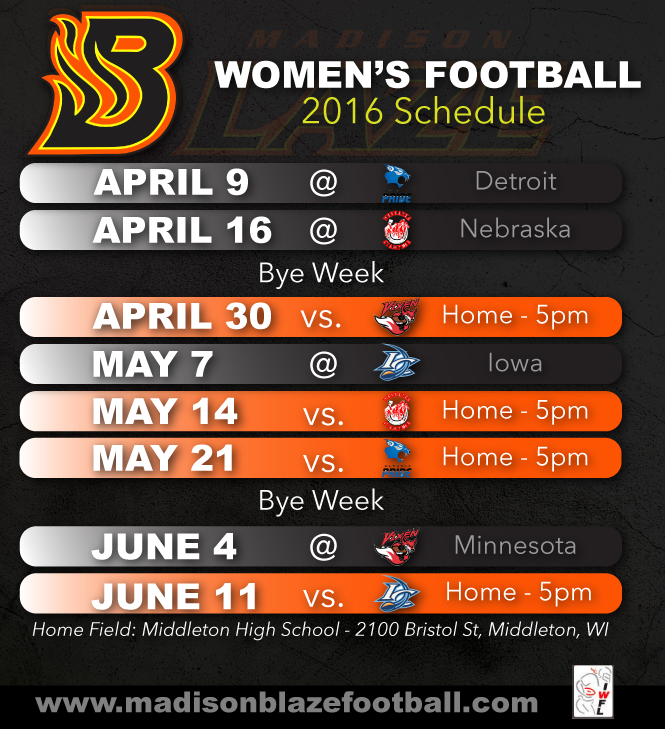 Madison Blaze, our local women’s football team, will be playing a home game on May 14th at 5 pm. All games are at the home field of Middleton High School, located at 2100 Bristol St in Middleton, WI. For tickets, visit http://www.eventbrite.com/o/madison-blaze-womens-football-6446496795.